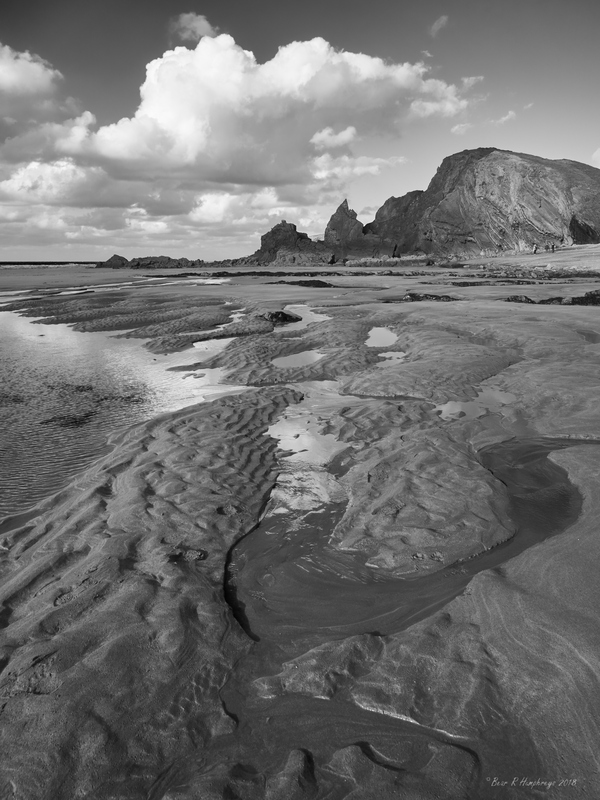 When the tide is out at Sandymouth, just north of Bude, the huge expanse of beach is full of little pools. Looking back towards the cliffs you can see how they are made up of layered rock just like our own at Crackington, although the rock itself is a softer type. I was lucky that there were some people at the base of the cliffs to show the scale and that the cloud formation seemed to shape around it as if it was that sharp spiked one that punctured it. Thanks, the lighting makes it I think. I love the whole black and white idea! It looks so classy! You make me miss living on the coast. Thank you. Although I couldn’t even get to the coast today and it’s only 4 miles! Thank you Julian. When I post my shots that’s what I was hoping to hear but wasn’t expecting quite as much as this week has provided!